The necktie (or tie) is a long piece of cloth worn for decorative purposes around the neck or shoulders, resting under the shirt collar and knotted at the throat. Variants include the ascot tie, bow tie, bolo tie, and the clip-on tie. 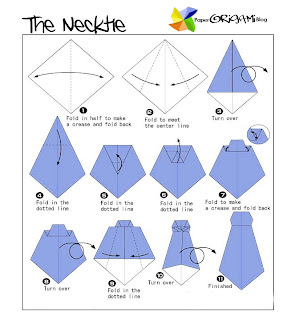 The modern necktie, ascot, and bow tie are descended from the cravat. Neck ties are generally unsized, but may be available in a longer size. 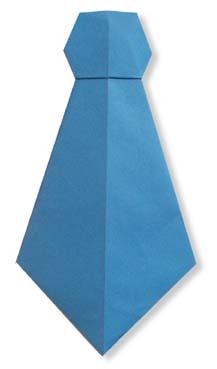 Men and boys wear neckties as part of regular office attire or formal wear. Neckties can also be worn as part of a uniform (e.g. military, school and waitstaff), whereas some choose to wear them as everyday clothing attire. Neckties are traditionally worn with the top shirt button fastened, and the tie knot resting comfortably between the collar points. However, it has become common in recent times for neckties to be worn as a casual item, tied loosely around the neck, nearly always with one or several buttons unfastened.